Christmas composition. Vintage Christmas greeting card. 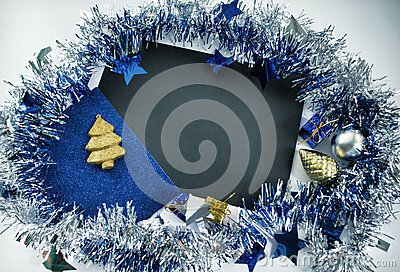 Blue sparkling ribbon wreath.